I've decided to slightly restructure my baby storytimes this session. The structure I was using worked, but I realized it could definitely be better. My first big change is that I have decided to theme each of my storytimes. 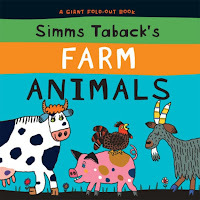 While I love just picking my favorite books of the week for toddlers and preschoolers, I definitely think babies work better on a theme. This gives parents a specific thing to focus on and it makes conversation a little easier. We use repetition a lot in storytime. Each week we will be following the same basic structure and change the books we read. Repetition is a great way to help your baby learn. They will begin to anticipate what comes next and feel empowered. By the end of the 5 week session you will notice your little one doing the motions to songs and babbling when we are singing. It's an awesome thing to see! Today, I hid a cow under the blue square. This game is a fun to introduce your theme and you can find out about it here. This book is fabulous. All of her books are fabulous. Seriously, buy them all. This book has huge fold -out animals in it. The "clues" are extremely easy and it is perfect for babies. The parents were not as excited about this as I expected them to be. Perhaps I did a poor explanation of why we are doing nursery rhymes? I will try again next week. 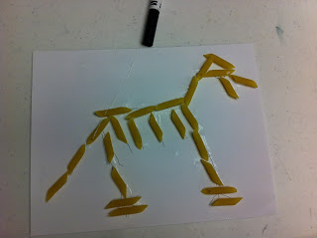 I found this fabulous idea at Storytimes with Moxie. She sadly does not blog anymore, but she has some great flannel pieces posted. This session I decided to start having a theme each week in my baby storytime. What better way to introduce it then with a game? I think including a theme has made it easier for my parents to focus on the books. Plus, it gives them a sense of what to expect each storytime. I have definitely noticed a difference in the conversations parents are having with their babies about the books. I have been using this game off and on for over a year, so I have no idea if I stole this from someone or not. All of my bookmarks were lost in the great Google Reader switch. So, if you gave me this great idea, please tell me! The actual flannel pieces are super easy. All you do is cut out 4 shapes in flannel pieces. Make sure they are different colors and make sure they are big enough to hide things behind. Each week I pick a theme and then make a piece that relates to it out of flannel. After our opening song and rhyme, we unveil the shape game. Unveiling is important. It takes away the temptation for kids to pull pieces off as soon as they enter the room. Plus, it makes it more exciting! Every week I say, "Now it's time for our shape game! Are we ready to see what we're going to read about this week? Let's see if there is anything under the purple star...." I always wait until the last shape to find my item. The babies have responded really well to this. The first two weeks they were a little unresponsive, but now they clap when I unveil the shape game and make a mad rush to the flannel board. It's adorable. Plus, they're getting exposed to shapes which is a precursor to learning letters! You can see all the other Flannel Friday Roundup submissions for this week at Future Librarian Superhero! Looking for a high interest/low level reader for teenagers? Do they love skating? I have the book for you! Vertical by Janet Eoff Berend is a wonderful novel about a teenage boy whose life revolves around skating. While the text is short with only 122 pages, the main character shows remarkable development and the book captures your attention completely. The book opens with Josh, the main character, talking about skating. As someone who has personally never stepped on a skateboard, the text is readable without prior knowledge. However, teens who love skating will be impressed that there is a book written specifically in their language. This book is a roller coaster. Within the first 20 pages, Josh witnesses a burglary. "No one likes a rat" though, so he keeps quiet. As the book progresses, Josh finds himself falling out of touch with his best friend who is making questionable choices, navigating the school world, and of course—skating. Throughout the book, Josh is constantly introspective and walks the reader through each emotion and action he makes. The author does not waste time on minor details though, except when it comes to skating. In these scenes the reader feels as if they are in the skate park with Josh. There is also a violent twist toward the end that I didn't see coming. Josh gets seriously hurt by another kid while his friend simply stands by and watches. It is a graphic scene, but it helps move the plot to a conclusion. Plus, it forces Josh to make a tough decision that he wouldn't have been able to make at the beginning of the book. I don't think a library can ever have too many sports books for their teens. If this is an area where you are constantly getting reader's advisory questions, then definitely add this book. This would also be a great book for English teachers to add to their classroom libraries. The book includes a glossary of skateboarding terms and discussion questions at the end. 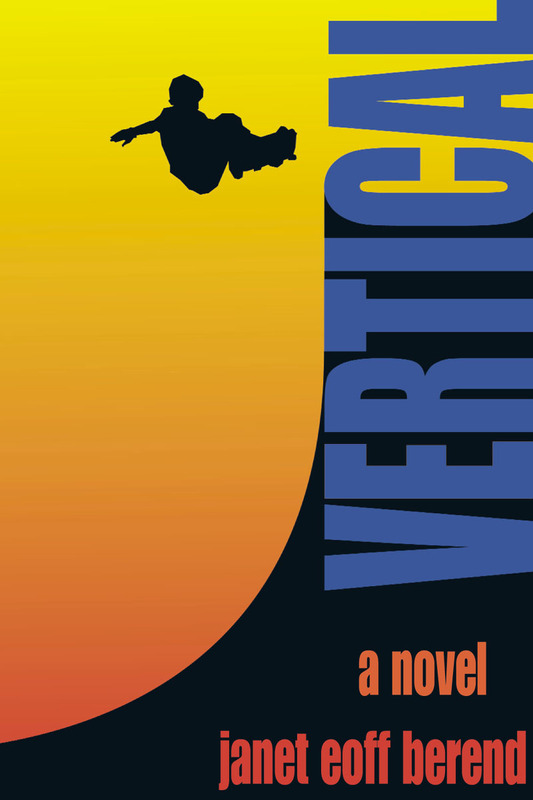 Vertical by Janet Eoff Berend is available now!